Iridescent paper adds a brilliant dazzle to any paper craft or origami project. This opalescent pink paper shows a variety of colors at different angles. 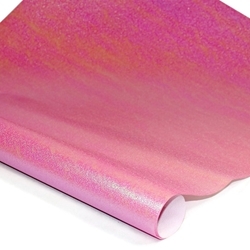 Shades of Pastel Pink shine and jump off this fun iridescent paper. Watch the paper come to life!